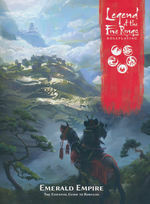 Learn of the intricacies of Rokugan with the Emerald Empire Source Book for Legend of the Five Rings Roleplaying! The Emerald Empire is vast and as varied as the seven Great Clans that control its lands in the name of the Hantei Emperor. Its society is modelled after the Heavens themselves. It is a culture steeped in history and tradition, in a land where decorum and propriety carry the weight of life and death. It is a land where spirits shape the very earth and control the flow of rivers and streams. 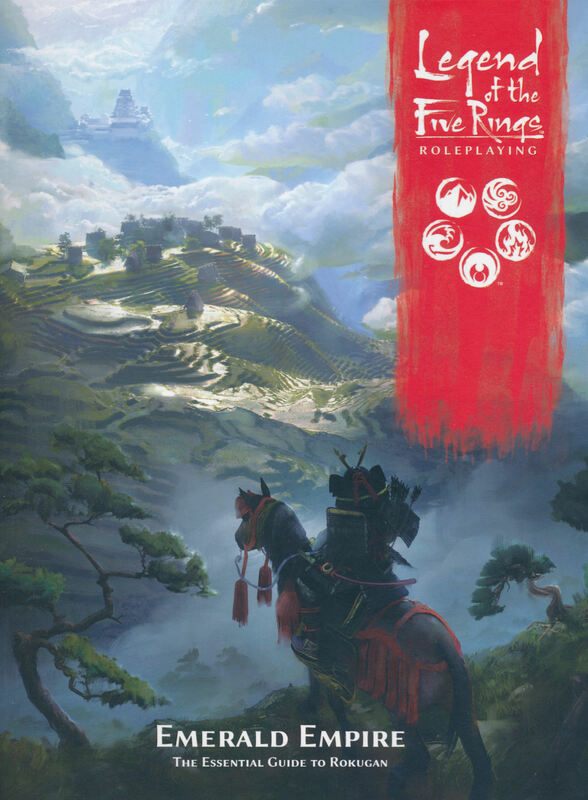 Emerald Empire explores the places and people of Rokugan, from small villages of fisherfolk to mighty daimy in their castles, to deep primordial forests and the spirits that dwell within. This book examines every aspect of life in the Emerald Empire, from food, to dress, to religion and spirituality, and matters of etiquette great and small.